Wanna change the world? 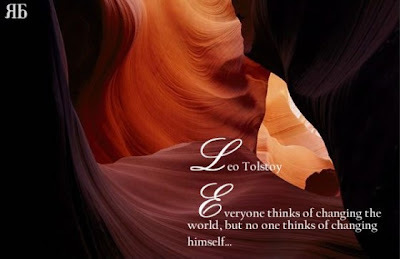 Change yourself. There is a missing piece in most civic engagement and community engagement initiatives. Most well-meaning practitioners come storming into programming intending to teach folks about issues, engage them in actions, and move forward to change the world. In schools, parent engagement coordinators focus on connecting parents with teachers or committees they can support. In nonprofits, youth engagement workers dive into connecting young people with social change action. In business, community engagement coordinators want to connecting consumers with their brands. While none of these are inherently wrong, they are all flawed. Social engagement of any kind requires that people connect with something outside of themselves, true, and that’s what all of these approaches focus on. But another key element is missing: Before connecting to something outside themselves, people need to connect to something within themselves. We all need to become personally engaged before we can become socially engaged. My work with thousands of young people and adults over the last decade has shown me that personal engagement happens when people have a sustained connection to something inside of themselves. I have to be engaged within myself in order to be engaged outside of myself. That is true of everyone. Whenever we appear to succeed in engaging people outside of themselves without first making sure they’re engaged within themselves, we actually fail. Every program for engagement needs to address the broader role of engagement in a person’s life in order to create that sustaining factor of the connection. 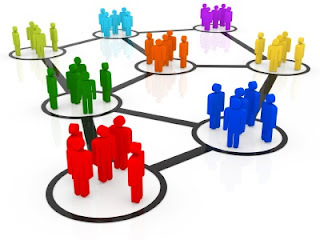 Without sustainable connections engagement does not happen. How are you engaged in yourself? CommonAction provides training and consultation for organizations and coaching for individuals who are ready and willing to make meaning of the world around them by looking inside themselves. Contact us for more information! Learn about Personal Engagement through our NEW CommonAction Personal Engagement Tip Sheet Series! We all have issues and activities that we’d like to engage others in doing. If you’re running an afterschool program for kids, you might want to engage them in the activity of learning. If you’re leading a protest at the school board meeting, you might want to engage students and parents in concept of school reform. If you’re teaching a high school class in robotics, you might want to engage students in the topic of robotic engineering. Before you can do that, though, people have to know they’re capable of becoming engaged. While that sounds like a “duh” for some folks, a lot of us haven’t considered that there are people who just don’t know they can be- or currently are- engaged with anything. I define engagement as anything a person has sustained connection to outside of themselves. This definition isn’t about commitment or consciousness or intention; it’s simply about identifying the sustainability of connections. 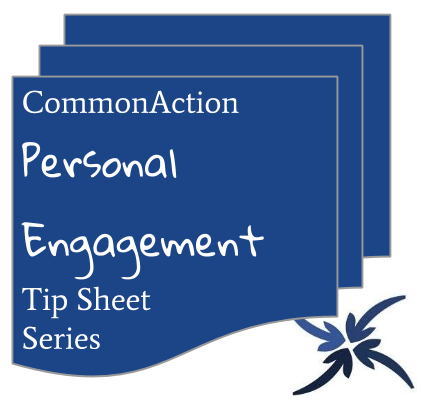 Following are ten questions about personal engagement to ask folks before asking them to become engaged in your issue or activities. What do you feel most strongly about in your life? What do you like to do when you have time to do it? Who do you like to spend the most time with? When does your connection to other things feel the strongest? What do you feel most connected to outside yourself? How does it feel when you’re connected to things outside you? Who are the people you feel most connected to? What are the topics or issues you feel most connected to? What difference does your connection make to the world around you? When do your connections feel strongest? Asking questions is a great way to build ownership in the topic of engagement. What would you like to engage with today?